When is a motorcycle rider allowed to ride without an approved helmet? When is a motorcycle rider allowed to ride without an approved helmet? A. Only during daylight hours. B. When the rider has a medical certificate. Correct. An approved helmet will meet Australian standards for safety to protect your head in the event of an accident. Motorcyclists are never allowed to ride without an approved helmet. It is the only piece of compulsory protective clothing when riding and it is designed to absorb impacts to protect the head, and also to prevent objects and rain hitting the eyes at speed, which could damage a person's sight. A helmet consists of a polycarbonate shell on the outside. Inside that is a deformable lining usually of a polystyrene-type material. Inside that is a padded fabric lining to wick away sweat and to make the helmet comfortable. The helmet is attached using a chin strap which will have a buckle (and often Velcro or similar to stop the end of the strap flapping). There are several types of helmet including full face (covers the whole head and face), modular (covers the whole head and face but has a flip up front), motocross (covers the head and chin and is designed to be used with goggles), open face (leaves the facial area open, thus providing no protection for the chin area) and half helmets which provide the least protection as they don't cover the whole skull or any of the face area. Helmets are rated by SHARP in the UK and given a score out of 5 for impact resistance. Even though all helmets must meet a certain standard (AS1698-1988), there are many helmets that don't score that well under the SHARP testing regime which is more rigorous. Try to purchase a helmet with a 5-star rating if you value your head in a crash. Read here about helmet standards in Australia. If you do the type of riding where you need to frequently take your helmet off to communicate with people, a modular flip-up helmet is your best solution. Avoid going for open face or half helmets because they provide much less protection in an accident where up to 30% of the impact could be taken on the chin, leaving you with very serious facial injuries that could leave you disfigured for life. 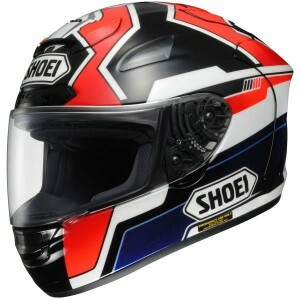 Read here about choosing the right motorbike helmet for you.